Two Ciabatte cool. They don’t last long in this house. Trying to capture that slipper look. There is one cookbook that keeps finding its way back to the kitchen bench, the big table, and the couch. Sometimes it likes to come to bed too. The Italian Baker by Carol Field is definitely my favourite cookbook, or perhaps I should say, book! It is a bible and just a joy to read. I am suggesting to Leah that this inspirational book should become her Book of the Month for the Cookbook Guru. Why do I love this book so much? Let me recount the ways. It is well researched. Field spent more than two years travelling throughout Italy to capture regional and local specialties. The opening chapters discuss bread making in Italy, ingredients, equipment and techniques. The discussion on flour is very informative. The recipes include traditional breads, festive breads, torte and dolci ( biscuits and cakes) as well as chapters on modern varieties. Instructions are clear and easy to follow. Measurements are given in metric, imperial and cups. Separate instructions are noted for mixing by hand, mixer and processor. I love that she employs traditional ‘biga’ starters. Less yeast and slower to make means easier to digest! The photos are few; there is no celebrity chef talk. The Italian proverbs and sayings regarding bread would appeal to any Italophile. Before each recipe is a wonderful short prologue. Here is a shortened excerpt from the prologue for Pane Toscano. “Tuscans have been making this saltless bread for many centuries. Dante even referred to it in the Divine Comedy. Anticipating the difficulties of his exile from Florence, he speaks of them figuratively, “you shall learn how salty is the taste of another’s bread’. P 84. All rather wonderful. Time to read Dante’s Inferno. In the meantime, I plan to cook every recipe from this book, a rather ambitious idea, given that I don’t eat many sweets and only a little bread each day. In the meantime, I propose this book to the cookbook club, and to all readers in search of an inspirational baking book. These photos show a few things that I have made in the last few weeks. I plan to post a ‘new’ recipe from this book before the month is over. You’ve done it again – another book to buy! I love anything Italian and if regional, all the better. 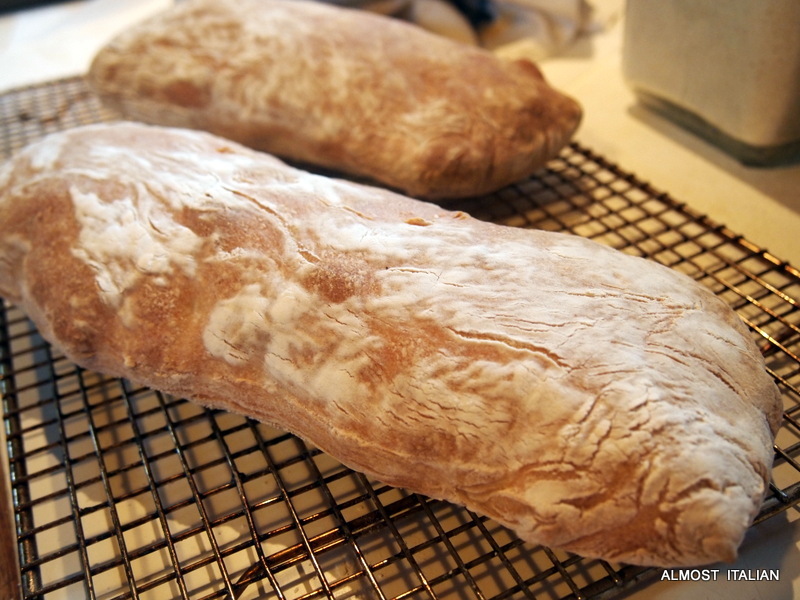 I can’t say I am a fan of fresh Tuscan bread (too bland – but that’s the lack of salt talking). 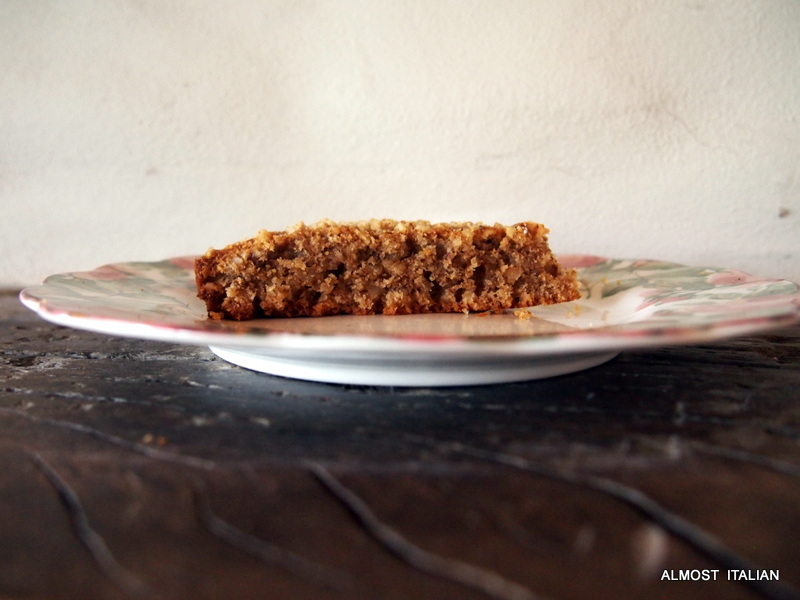 However, I love all the things you can make with it – salads, soups, stews… This walnut torte looks delicious. No, I’m not a big fan of bland Tuscan bread either- I included the reference for sheer delight in the quote by Dante! This is a great book, I just haven’t enough lifetimes to cook it all, but I really want to. Re the cake. It is really very trad. Mr T and I didn’t like it at first- too walnutty – but, lo and behold, it just gets better and better. The older visitors to my place love it. It reminds me of my Greek neighbour and the things she makes. I think the book will appeal to you. Check it out at the Book Depository. I was going to make this for a Greek friend – it seems right up her alley. 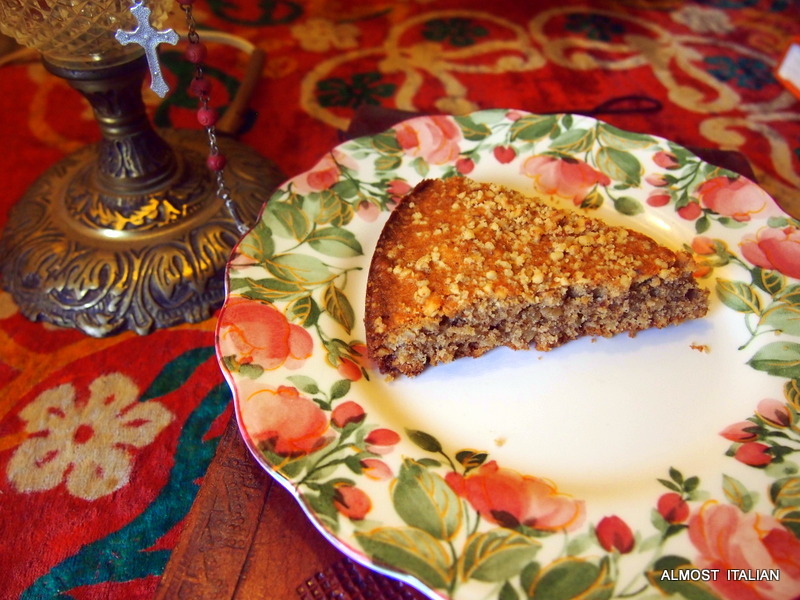 You are absolutely right, it is similar to many traditional Greek walnut cakes. I have a book coming up in a few post from now just for you! I CAN’T WAIT. Sorry for yelling. I really like your book posts. Ah, how fortunate to meet her. I am after some of her other books, based on the excellence of this one, but sadly they are no longer available. The Italian Baker, however, is still available. I buy it for gifting. Ah sorry, I didn’t mean to do that, but I am sure you will just love it. let me know if you do!!! Book just arrived…..there are so many wonderful things in it! Can’t wait to pour over it. It is an inspiring book. I hope you love it as much as I do. 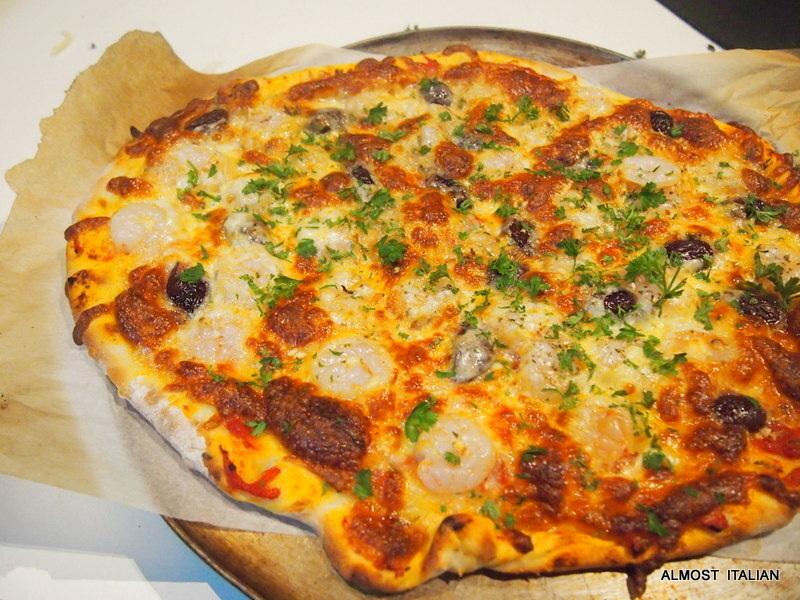 Francesca at Almost Italian has nominated this little gem for is for the cookbook guru list. I’ll admit to it already being on my Wishlist from discussions we had during our baking month with Elizabeth David. I’m looking forward to exploring this book more in the future. Make sure you check out why it will be worth our attention. Great choice Francesca! I’ve owned this book for years, have read it cover to cover, but I’m ashamed to confess that I’ve not made one single recipe from it. I love the walnut and coffee cake, looks like my sort of cake! BTW thanks for pointing out BAS foods to me I’ve visited today and have come home with all sorts of wonderful things, including delicious Turkish apple tea. What a gem of a place! FYI they had 10kg bags of spelt flour.. I forgot to mention- about 100 metres back from Bas foods is NSM, another source of the things we like, though not as big as Bas. They have all there things in bins so its good for small quantities, and the range is also different. Next time when your’re in Brunswick, have a look.The entrance to the shop is also in Victoria St, despite what the web address says. I saw NSM as I drove past, almost stopped too….Oh well, next time! I think so, very fair indeed. I am waiting for the Book Depository’s delivery of the last Donna Leon novel. And then, I need some suggestions. What did the G. O buy you? We both enjoy the Hairy Bikers, so the G.O. directed me to order “The Hairy Bikers’ Food Tour of Britain” to add to their Cookbook and Big Book of baking he bought me last year at vastly inflated retail prices hence the proxy online shopping this year. And, influenced by Glenda of The Passion Fruit Garden – Mma Ramotswe’s Cookbook: Nourishment for the Traditionally Built… which I certainly am 🙂 As far as suggestions have you read any of Marlena De Blasi’s books? I have them all I think, except Regional Foods of Southern Italy, which is on the wish list. I have also read all of Marlena de Blasi’s books! All great. Must look at your other suggestions. Thanks Ella. I haven’t come across this book before… will have to see if I can find a copy. I love finding new cookbooks to read, especially through recommendations. It is available from the book depository. It’s a great book if you love baking, or would like to know more about traditional Italian breads and cakes. each recipe has a little prologue which takes you straight to Italy. Francesca, I am tempted, so many books so little time …. Previous Previous post: Sourdough Diaries. Flaxseed and Oats. Next Next post: And You Can Be My Cowgirl.